The Canadian methodology, one of the leading methodologies in education, is based on directing children to learn their whole lives, to strive for success and become citizens of the world. 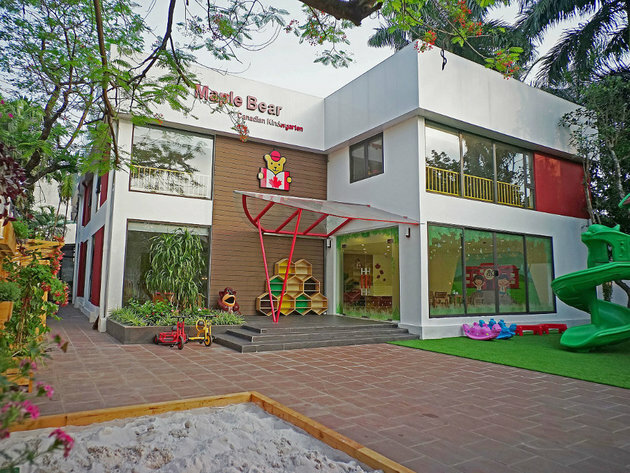 This concept is becoming available in the region thanks to the Canadian Mable Bear school franchise. These schools educate children psychologically, intellectually, emotionally and socially, in three key directions, creativity, cooperation and critical thinking. In Serbia, they say, the plan is to develop over 10 preschool institutions and elementary schools, with the potential of opening secondary schools. – We still don’t know what 85% of jobs in 2030 will look like, according to the IFTF Institute. How can children then be educated for jobs which don’t yet exist? What should schools do to secure children’s future? Considering that no one knows what the future brings, the answer lies in the “learn how to learn” methodology. If we teach children adequate skills and teach them to love learning, they will be ready to face all the challenges and be confident enough to find their way in a world of large and quick changes – stated Yann Bidan, General Manager of Maple Bear for Central and Eastern Europe. – The Canadian school franchise is coming to the CEE region and we are looking for local partners which would help us found schools in Serbia. Maple Bear schools adapt to local regulations, creating a fully localized curriculum, combined with the Canadian program and methodology. Also, this approach provides Mable Bear students with many more options for further education in the country and abroad. According to PISA, the Canadian education system constantly ranks among the top 6 in the world. The latest OECD list puts the country in the 6th place. Mable Bear schools bring the best practice of Canadian bilingual education methodology. This brand is one of the fastest growing private education brands in the world. Although it started only 12 years ago, it is now present in 16 countries and operates more than 300 kindergartens, primary and secondary schools and has over 35,000 students. The ambitious plan is to develop a network of schools with over 15,000 students in CEE in the next ten years.